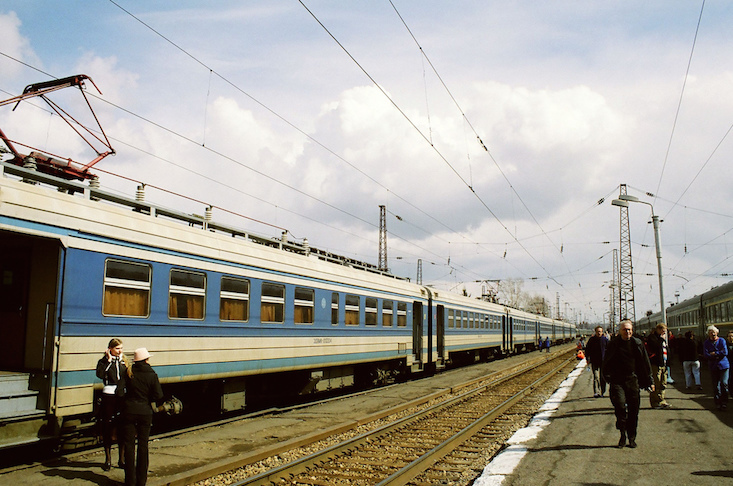 Artists, photographers and musicians from the UK and Russia are set to take part in a travelling art residency that will see them venture across Russia on the Trans-Siberian railway, visiting the cities of Kazan, Yekaterinburg, Novosibirsk and Krasnoyarsk. The project — entitled TransLit — is organised by the British Council as part of of the Year of Language and Literature. TransLit will see creative evenings featuring readings, concerts and public debates take place in each city. Shakespeare expert Andrew Dickson will speak on the various modern interpretations of texts by the British playwright and poet, while writers Alisa Ganieva and Joe Dunthorne will be discussing the state of contemporary British and Russian literature together with critic Konstantin Milchin. Also among the participants are the lead singer of the Welsh psychedelic rock band Super Furry Animals, Gruff Rhys, who will meet with local musicians and play songs written on the road, while Francesca Panetta will capture different sounds throughout the journey, later creating an audiovisual work from them. The journey will last 14 days, from 23 October — 6 November. It will be possible to follow the progress of the trip via an online diary posted on the British Council website. The literary and musical works, as well as photos collected over the journey will be compiled into a collaborative media project.